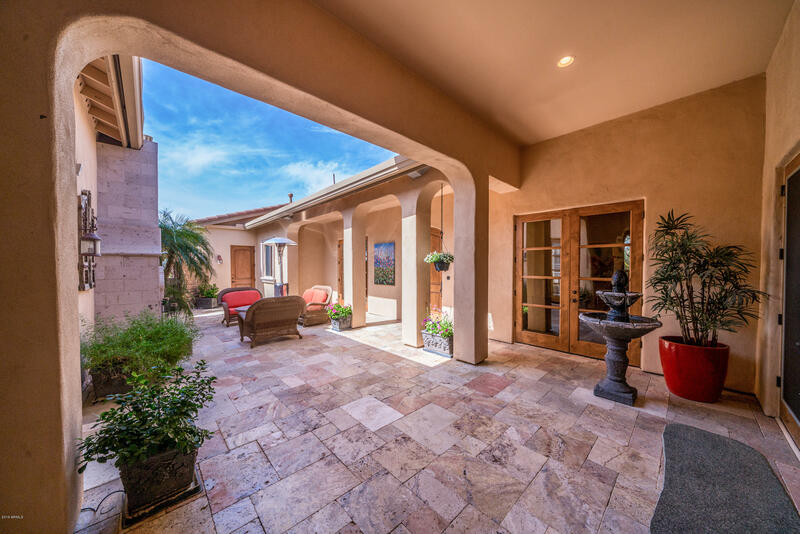 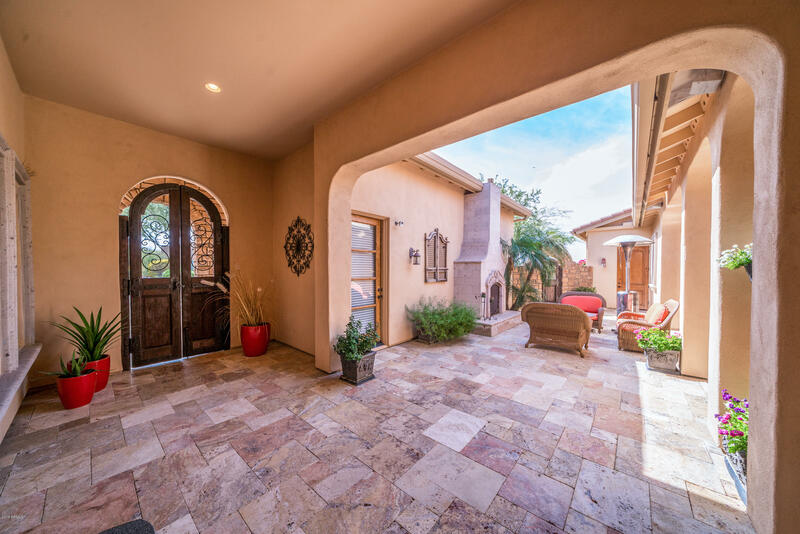 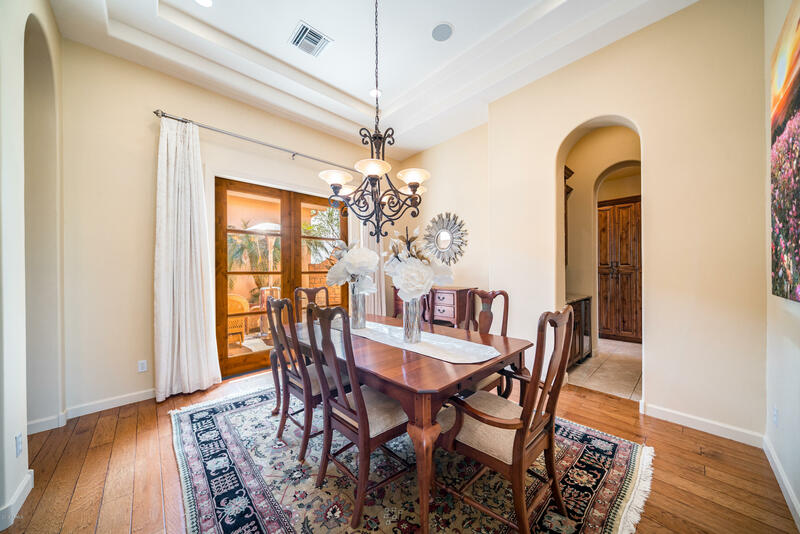 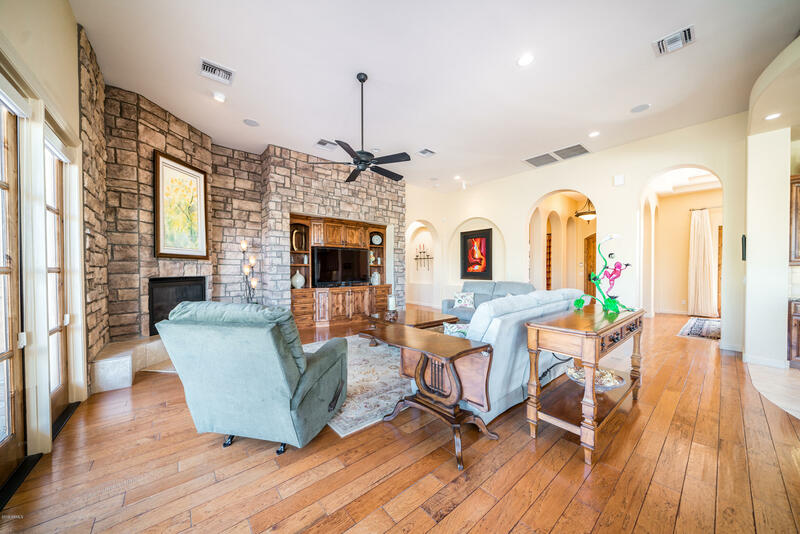 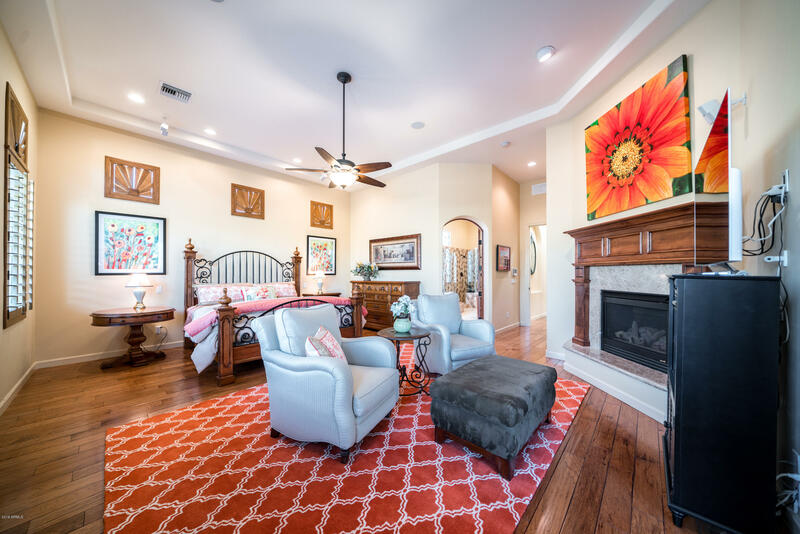 Enter this home through a private courtyard hosting a generous seating area, fireplace, entrance to a Casita & to your new home. 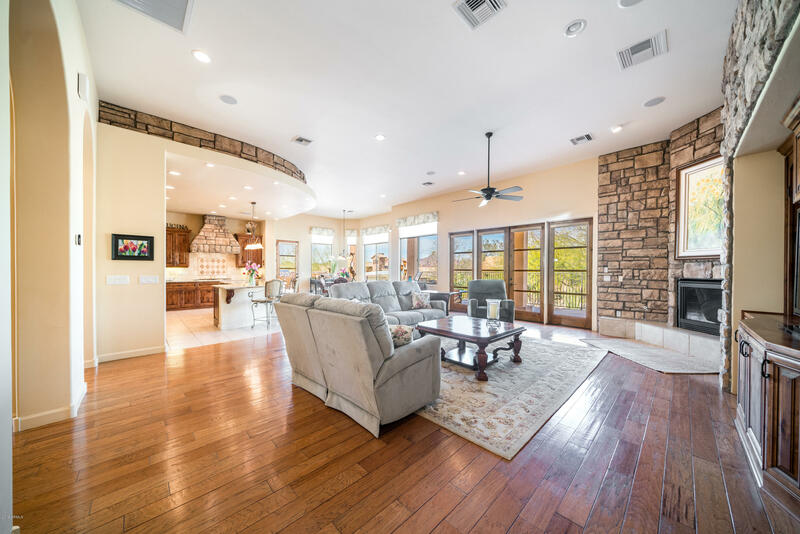 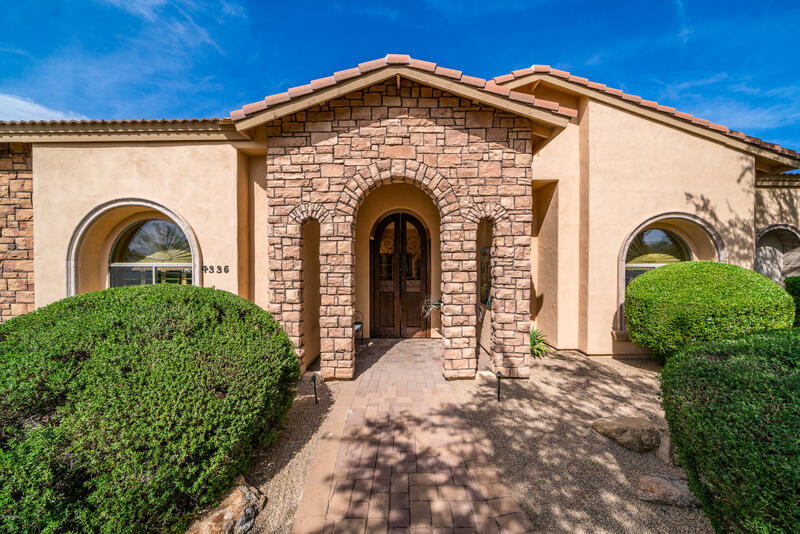 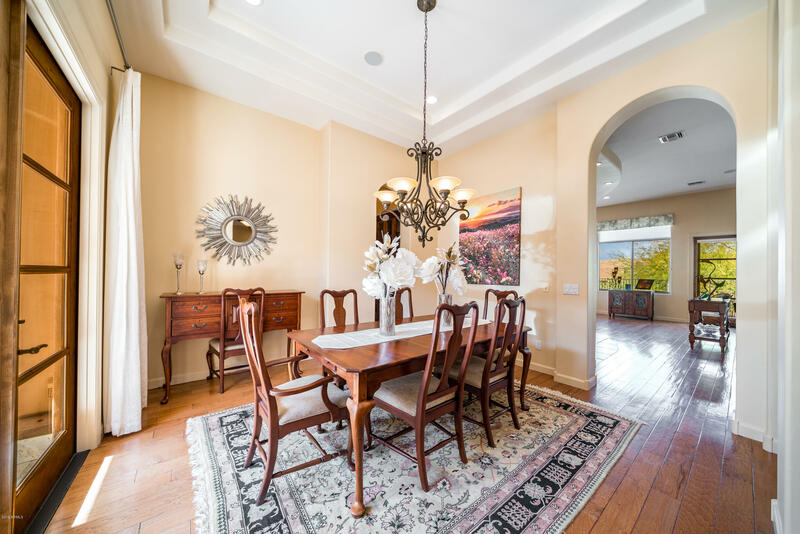 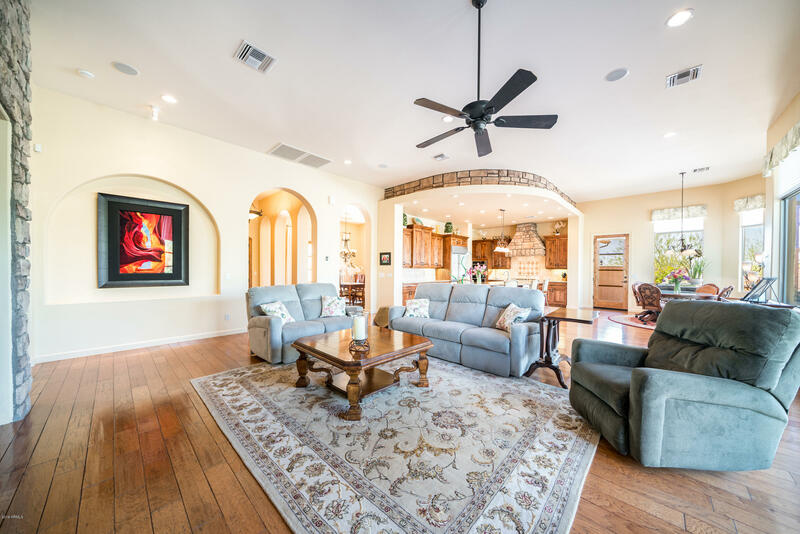 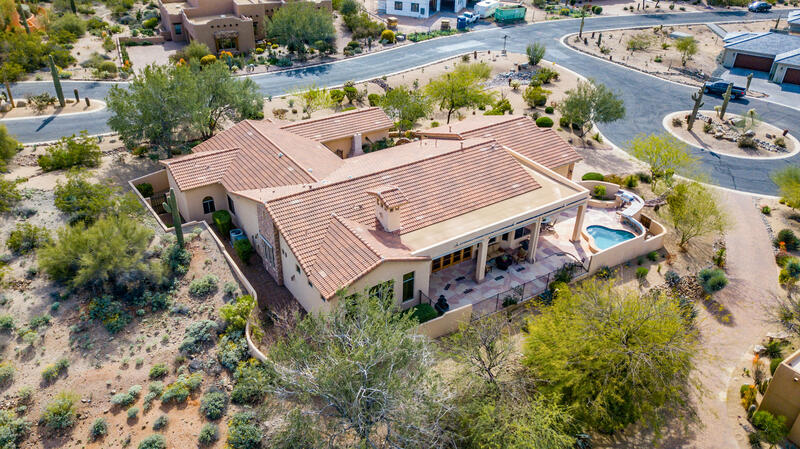 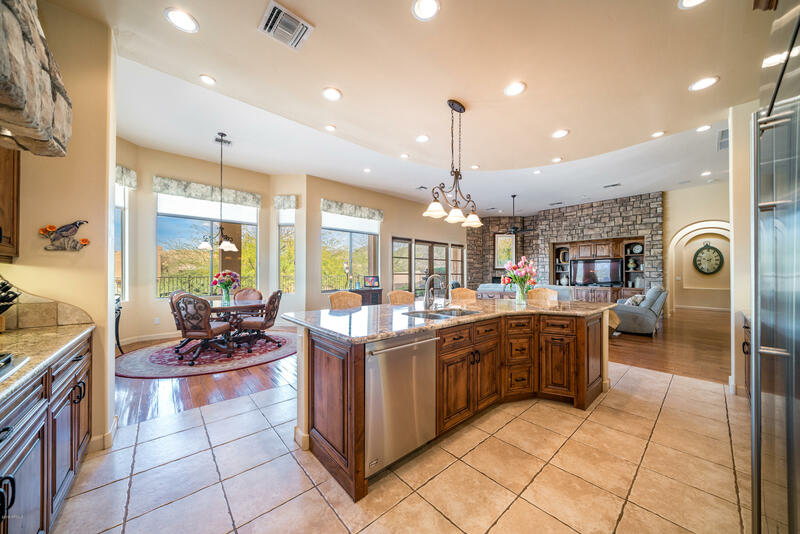 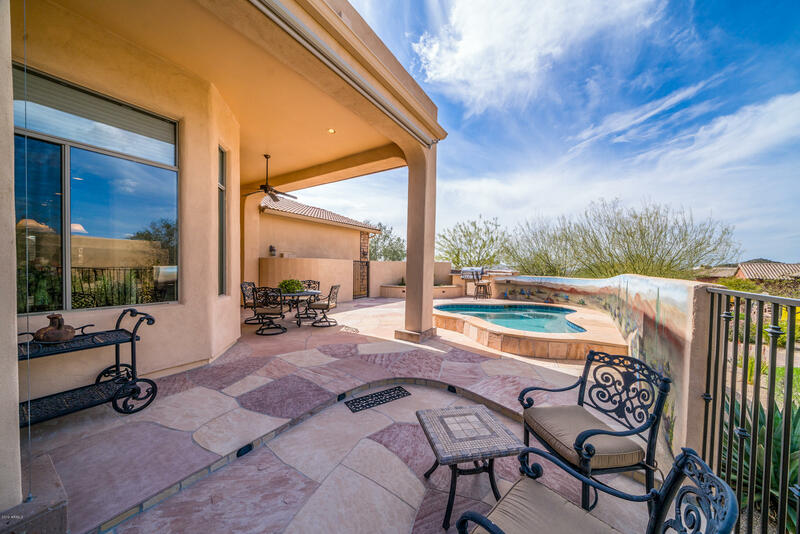 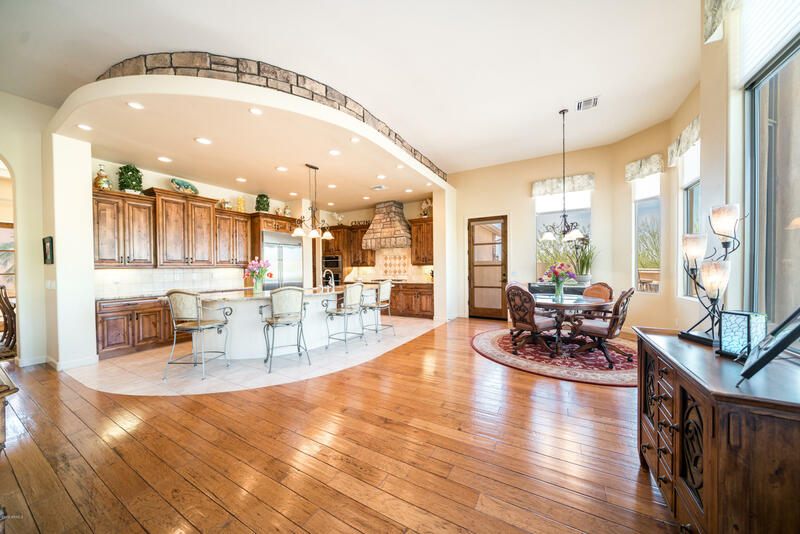 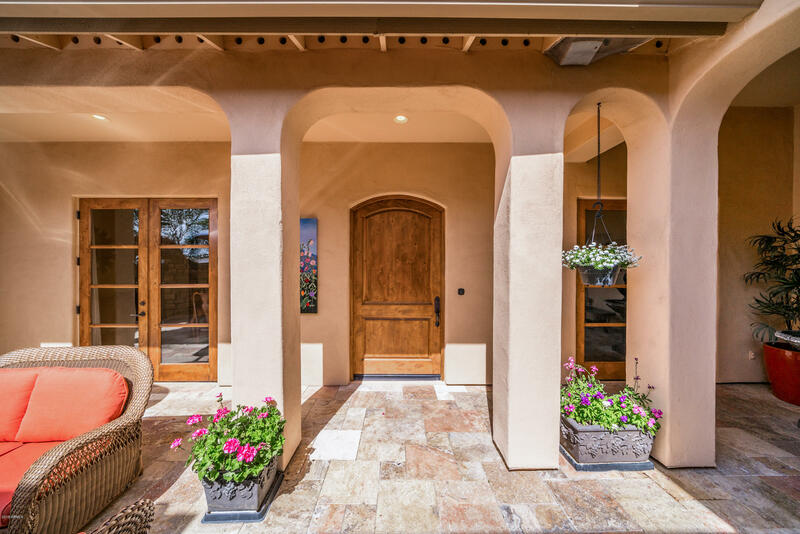 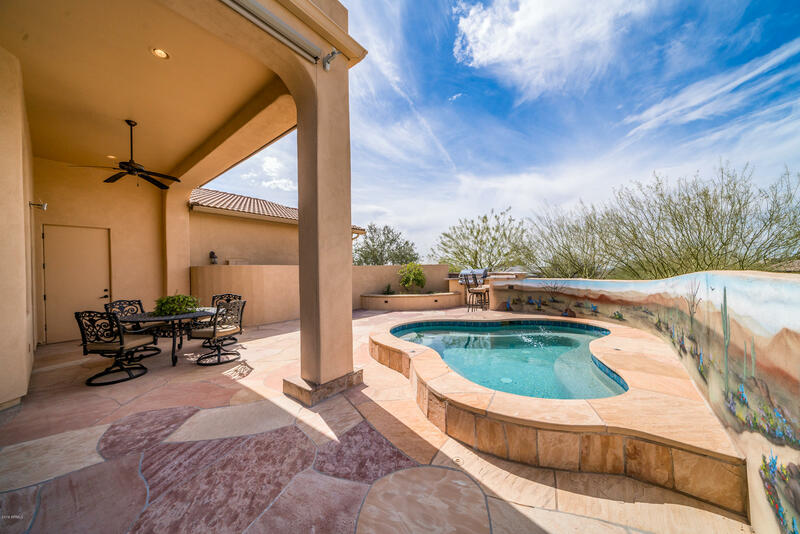 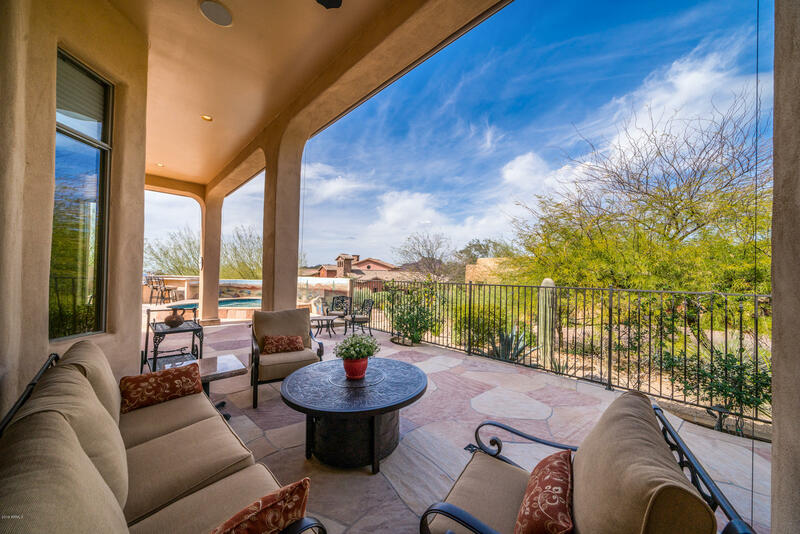 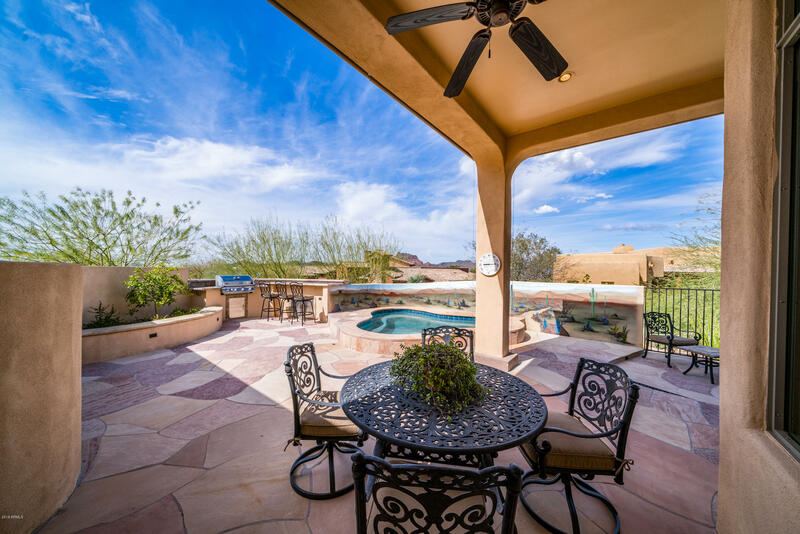 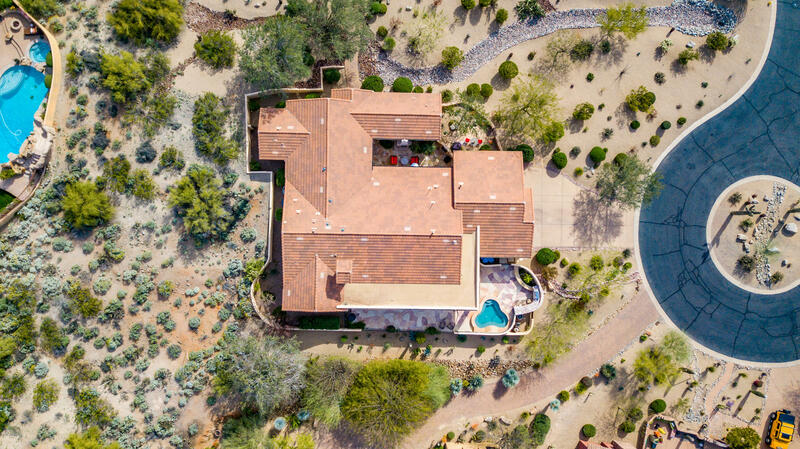 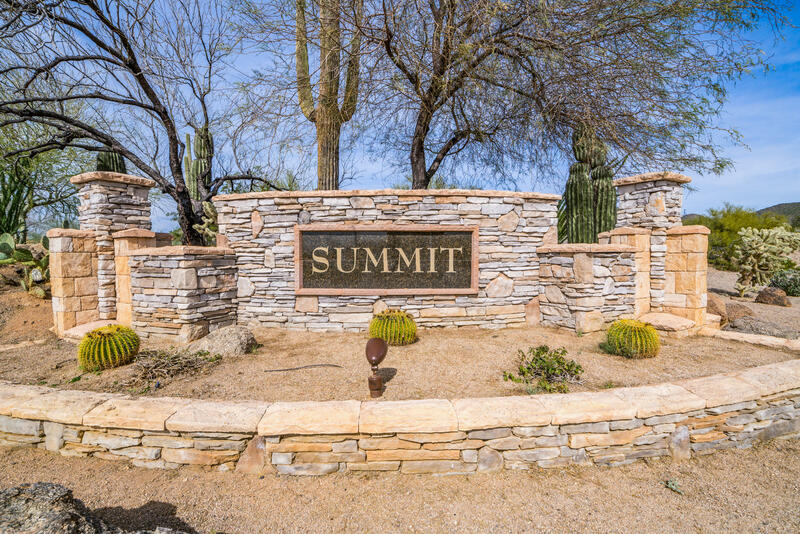 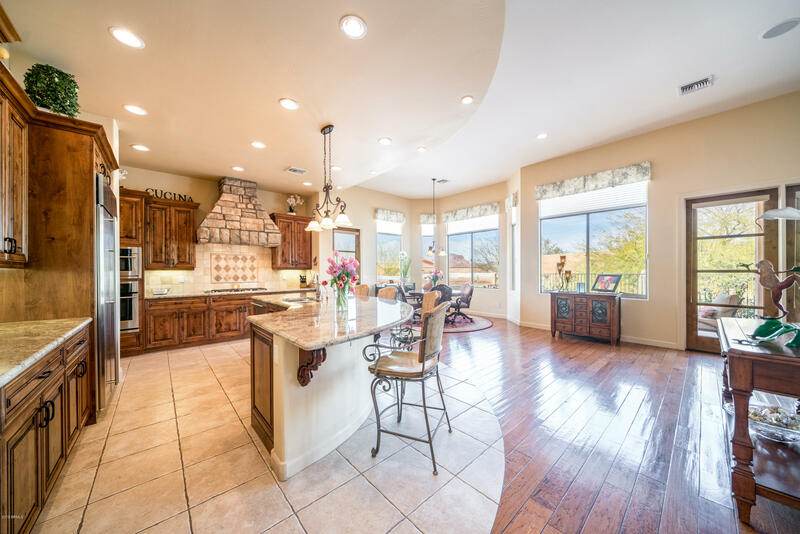 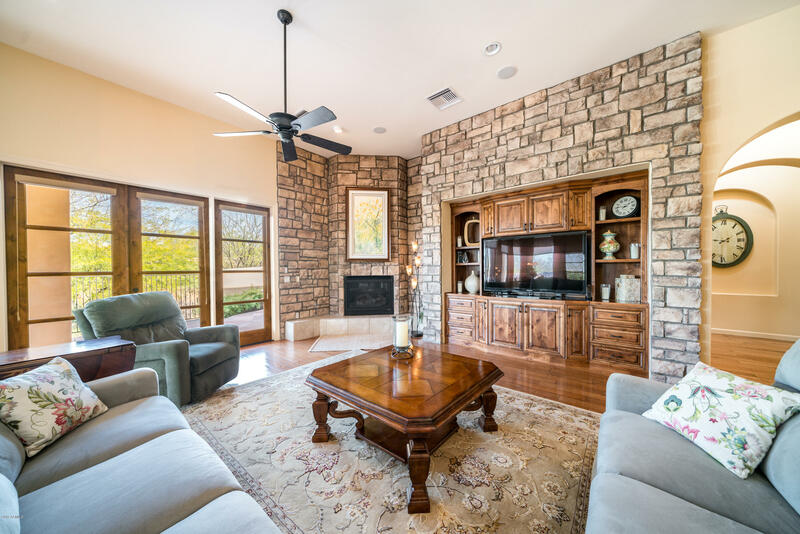 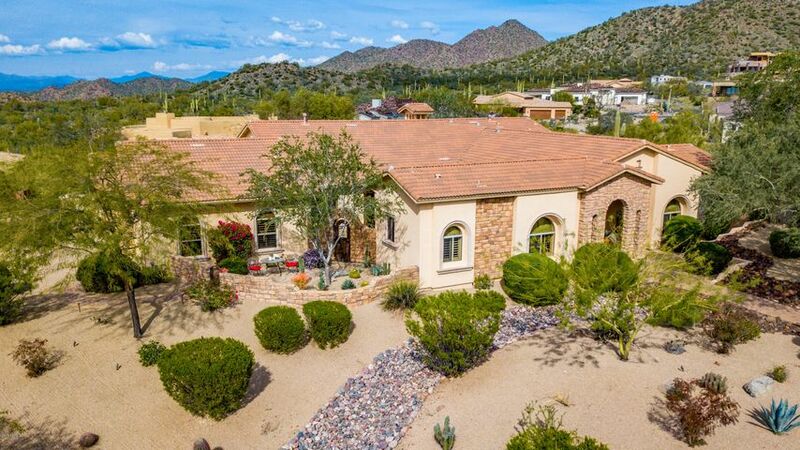 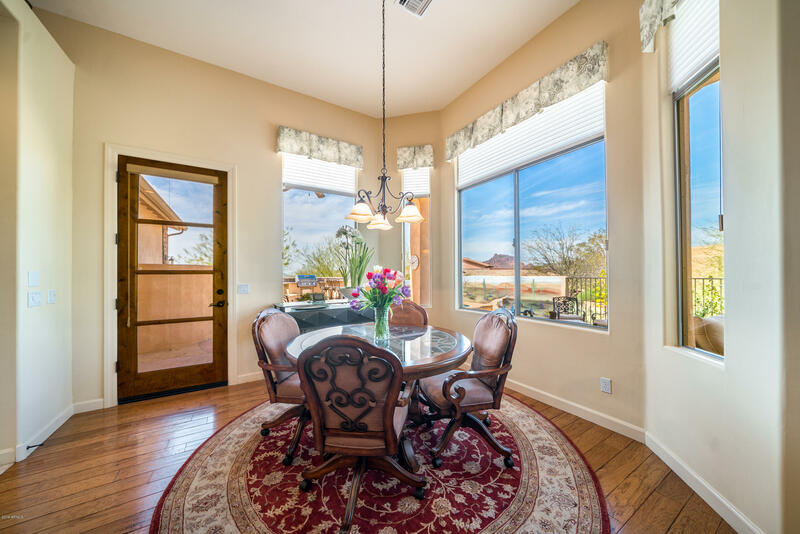 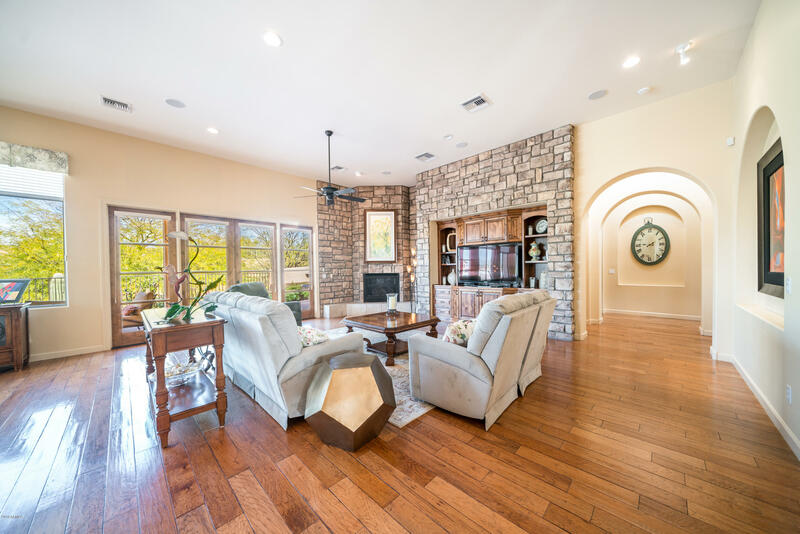 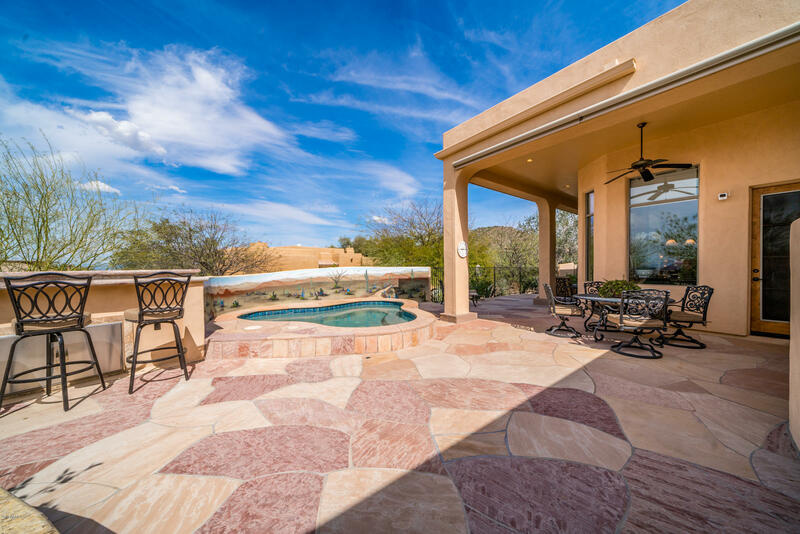 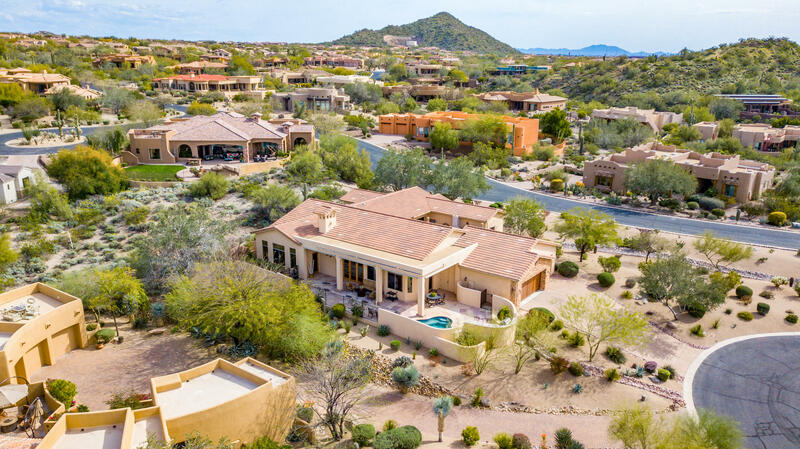 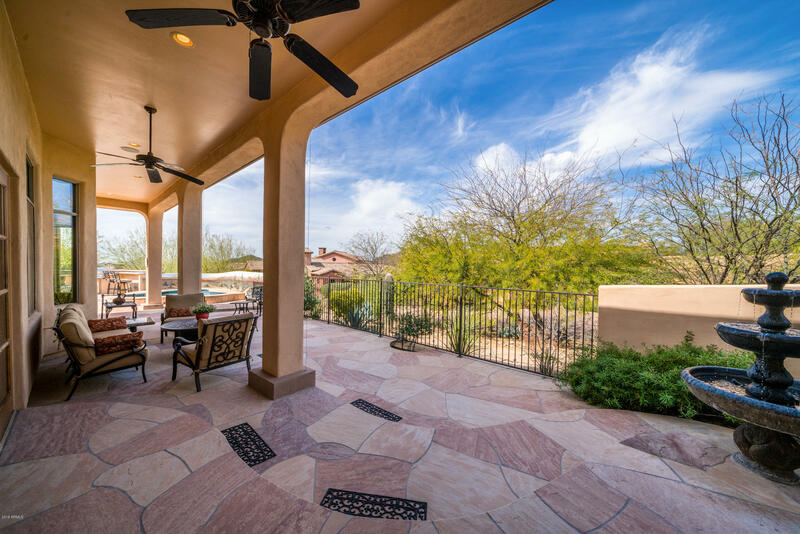 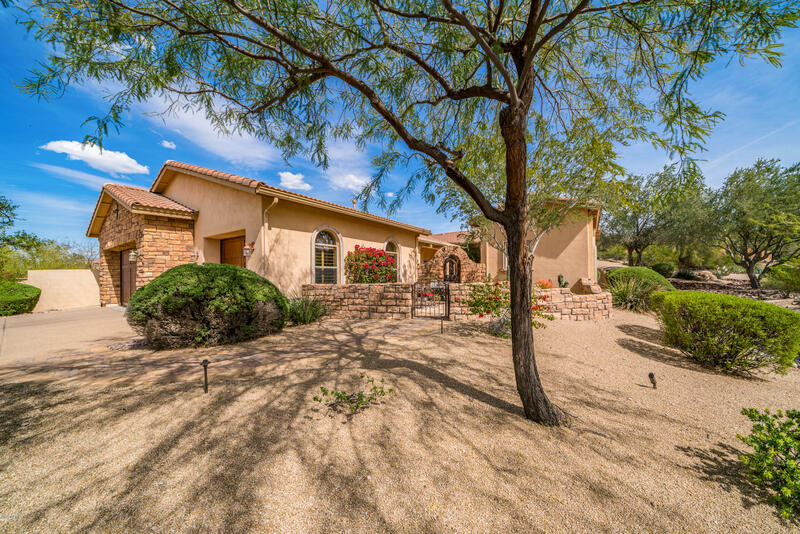 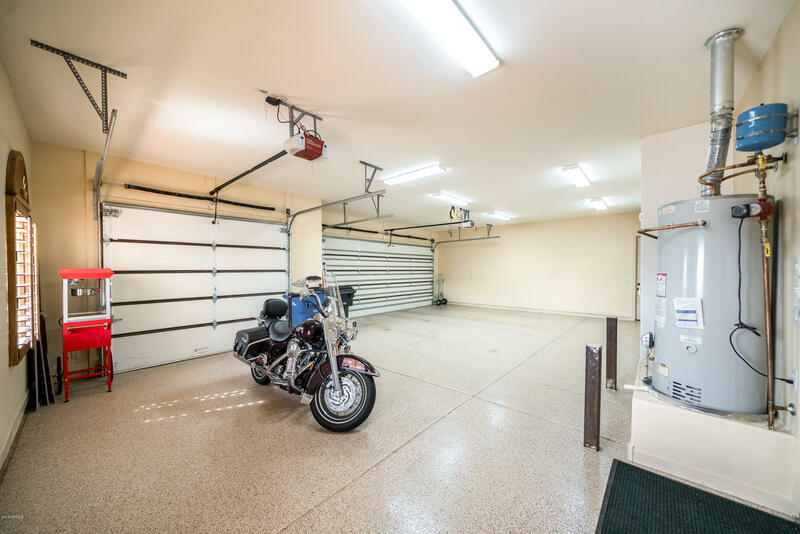 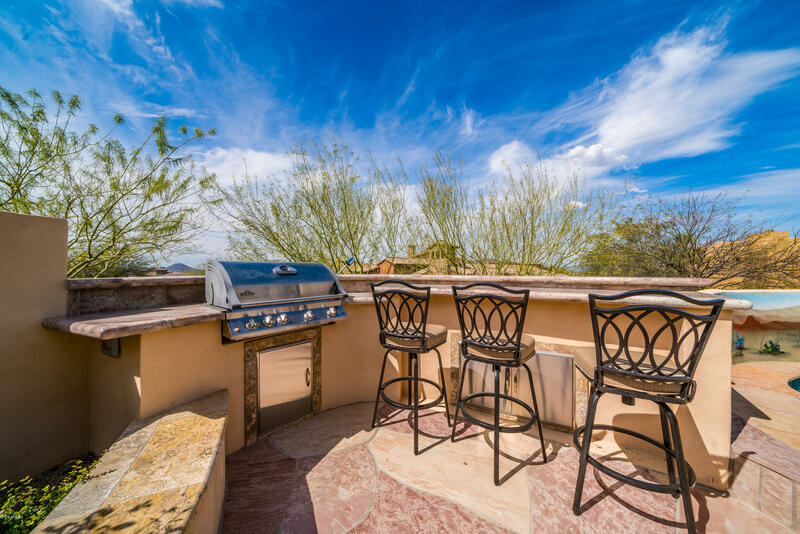 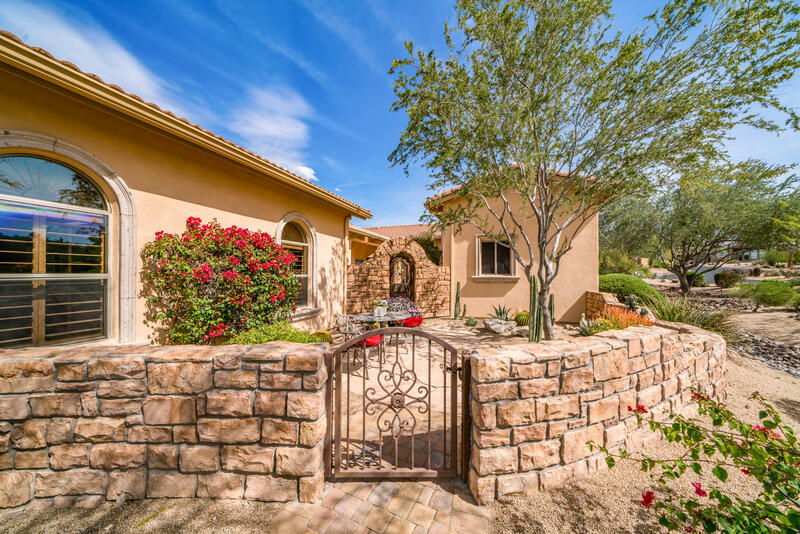 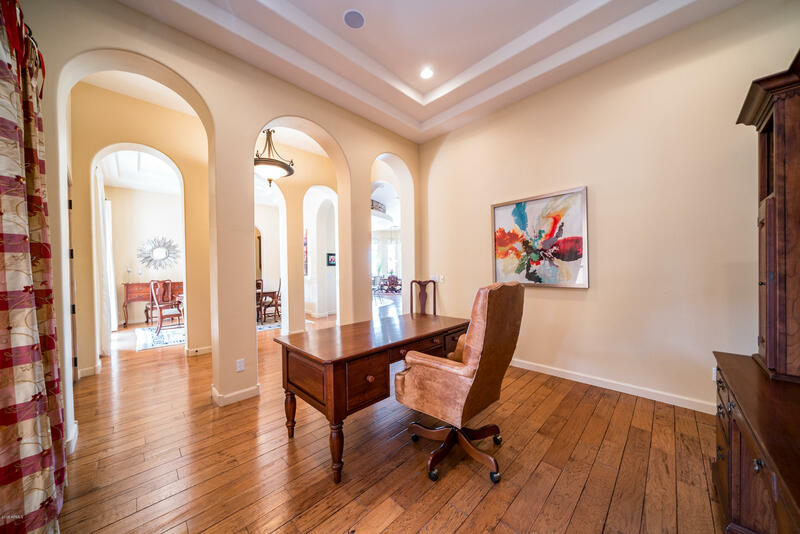 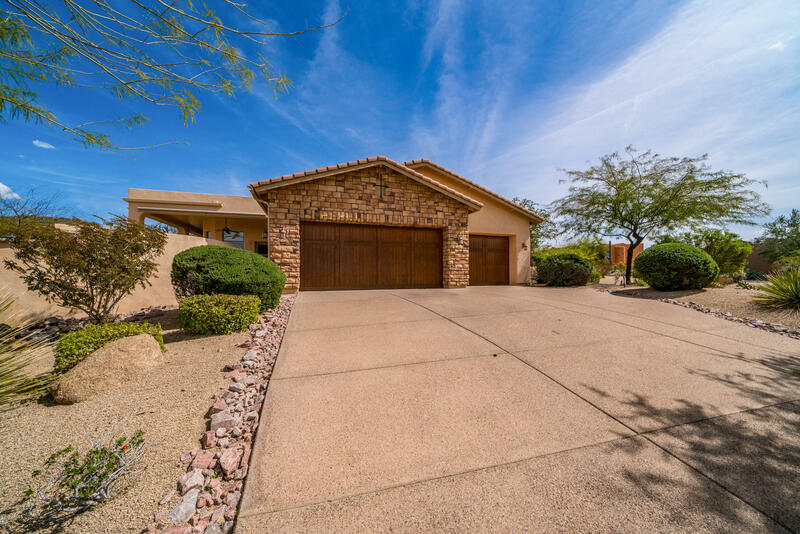 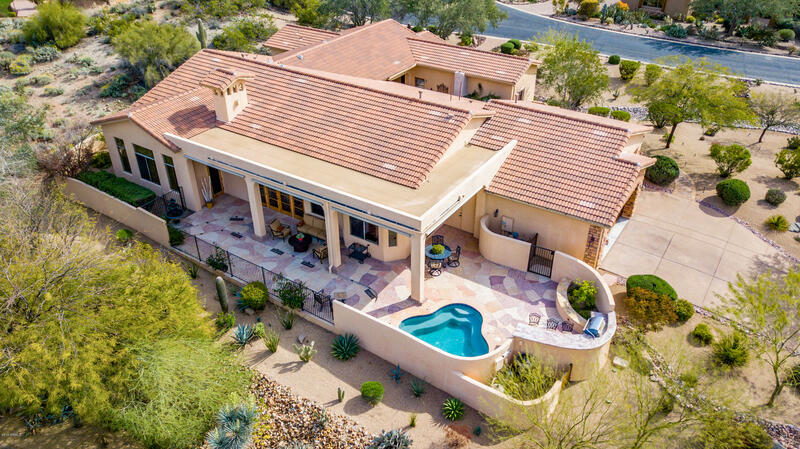 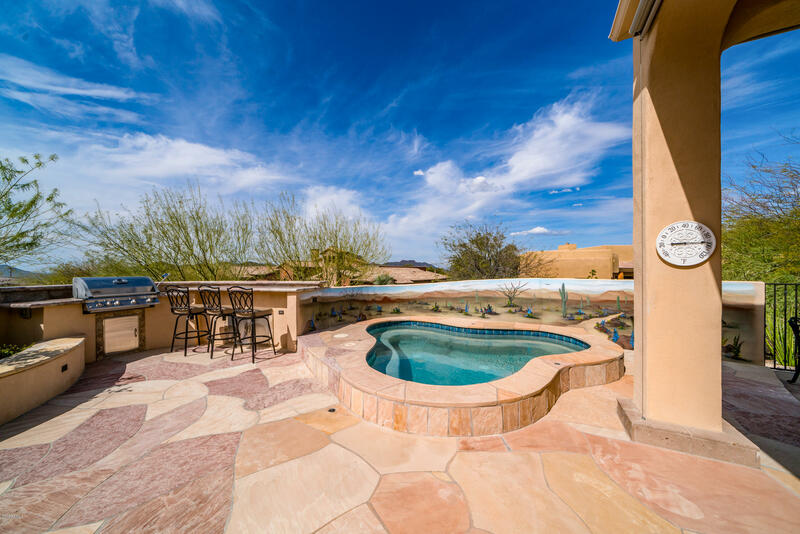 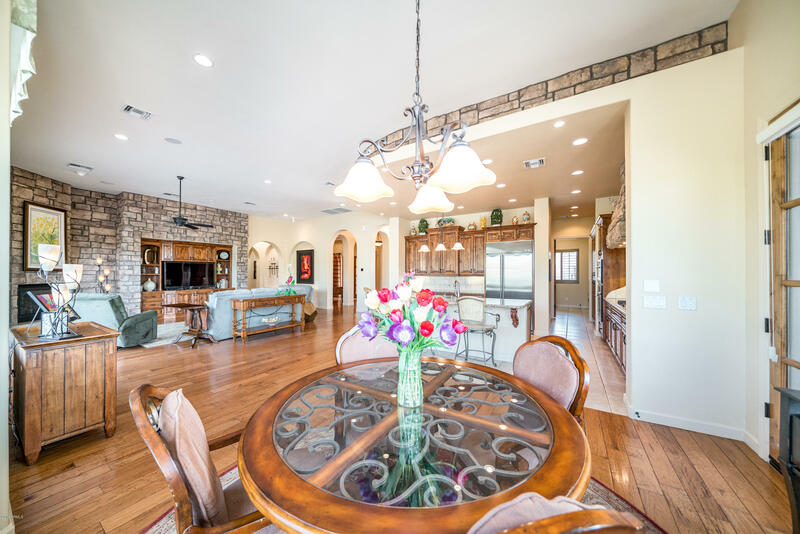 Enter through custom wood doors then past a formal dining rm on your left, office/den on your right, next into the kitchen/great-room w/ a view of Red Mountain. 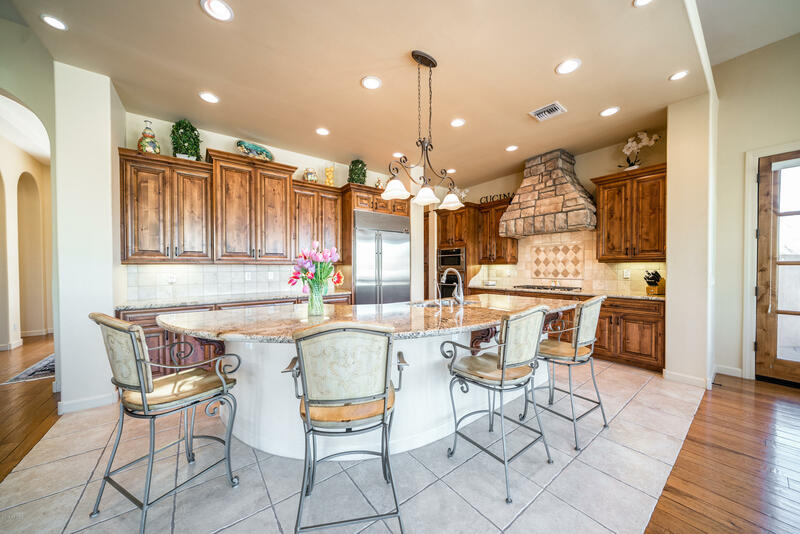 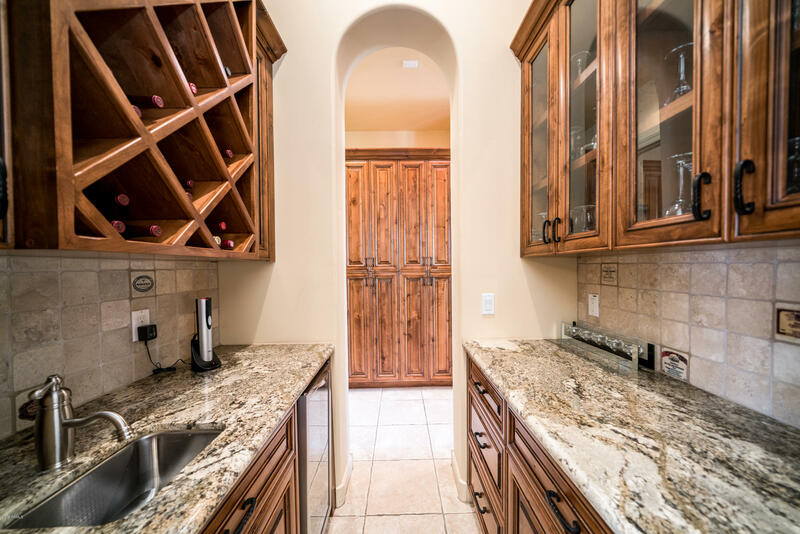 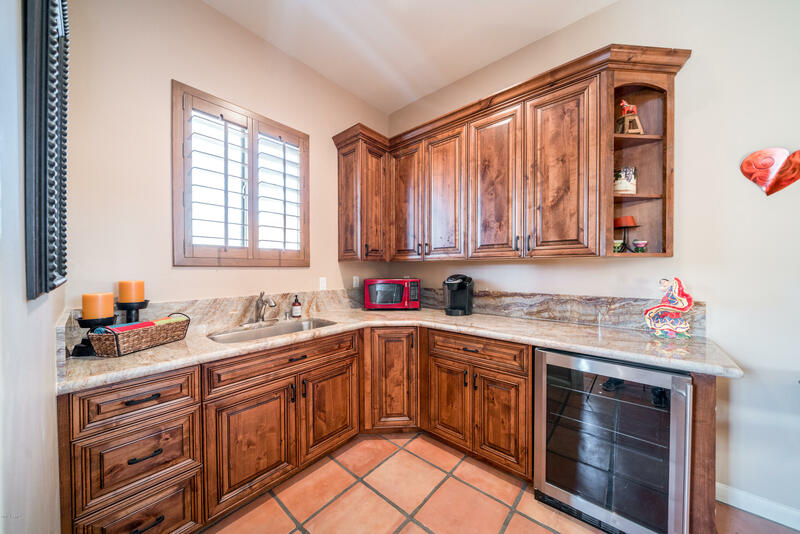 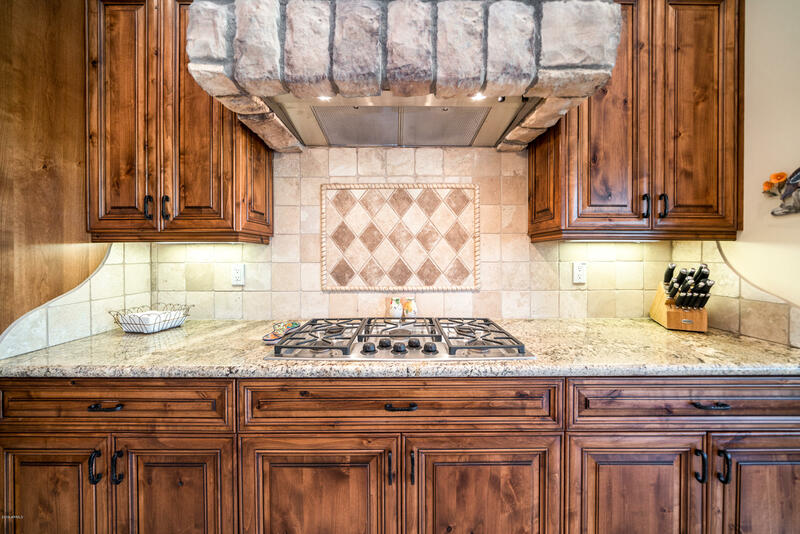 This gourmet kitchen has a large island with bar seating plus an eating area for your breakfast table. 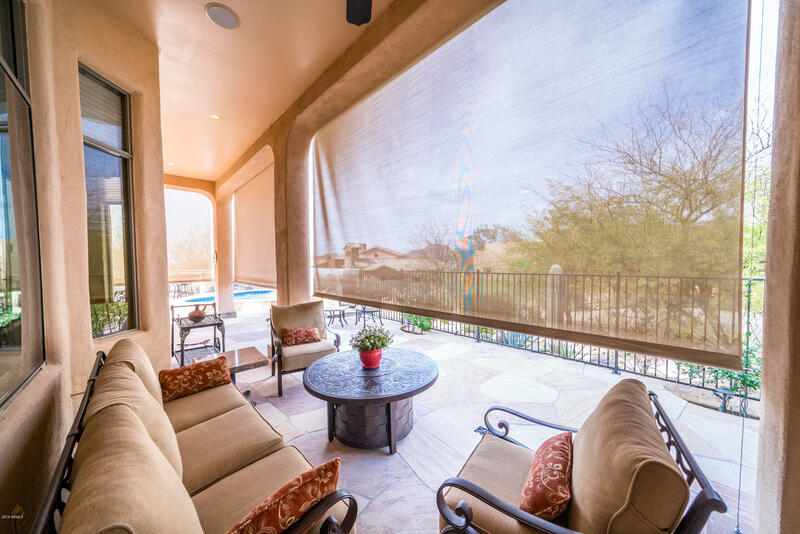 The great-room is equipped with a state-of-the-art sound system with speakers throughout the home & patios. 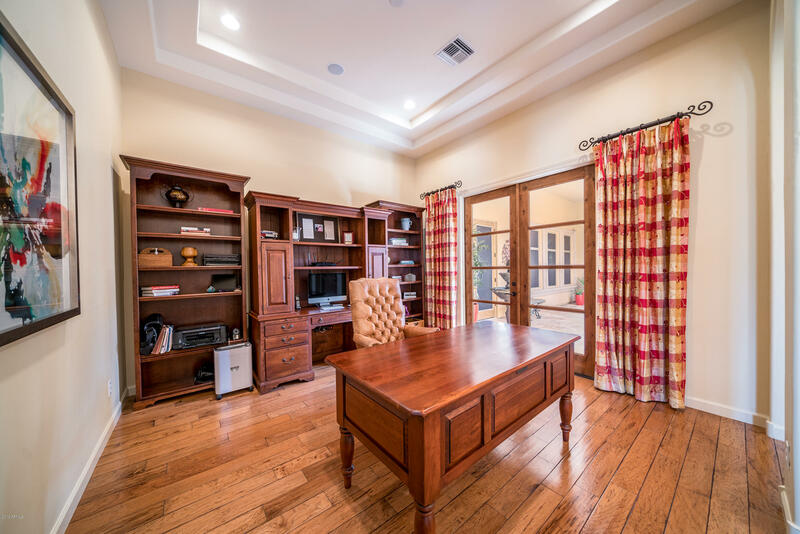 The over-sized master also has a separate surround system for tv/video enjoyment. 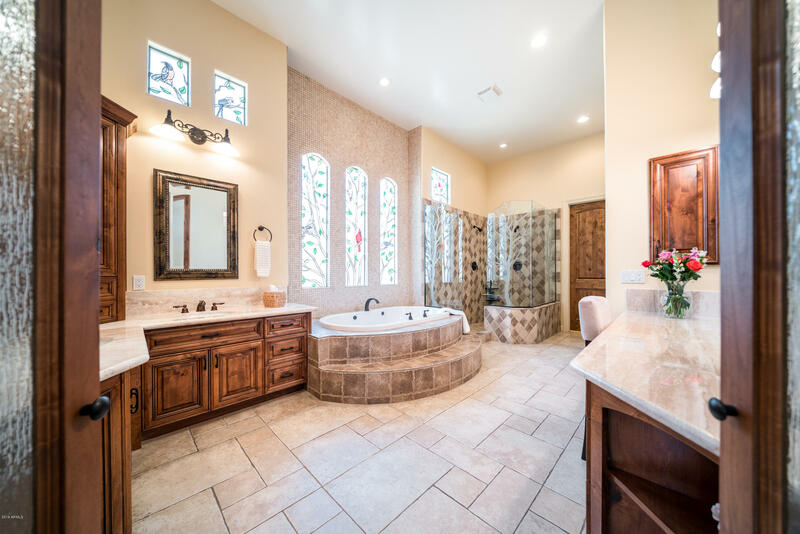 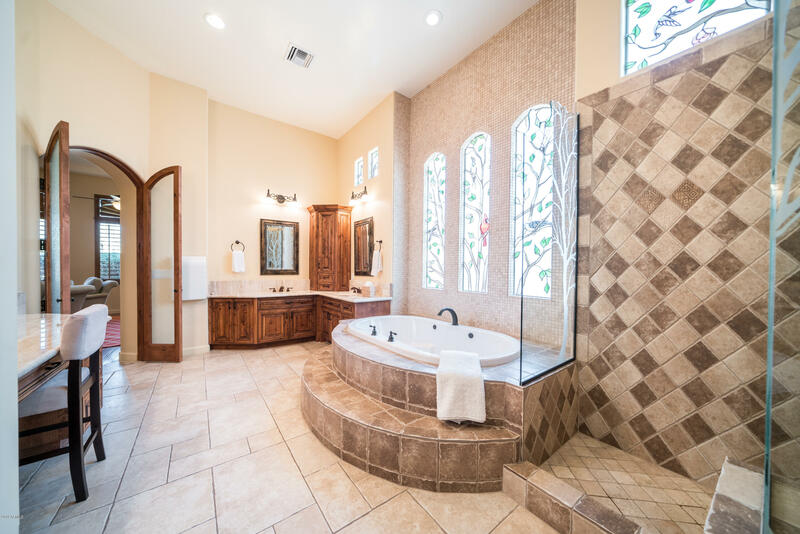 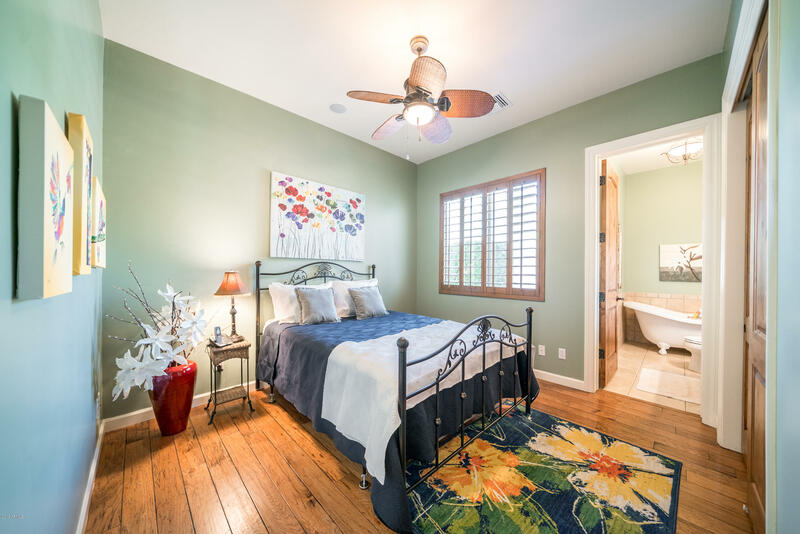 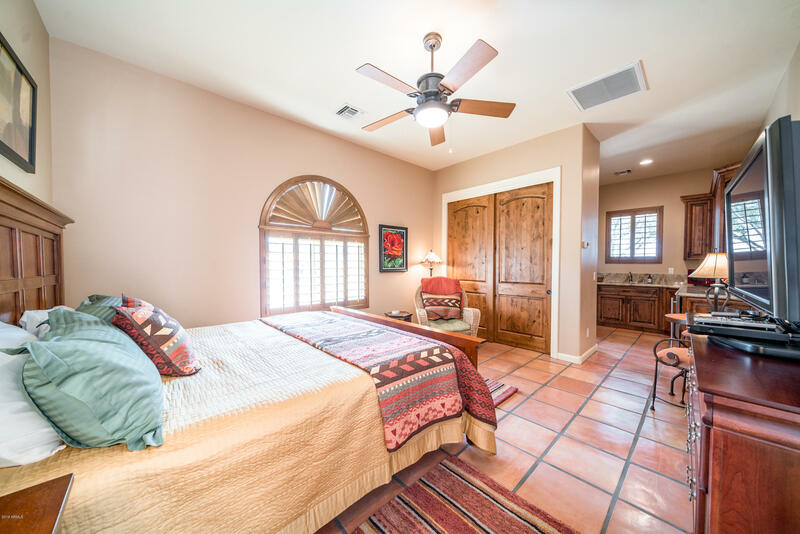 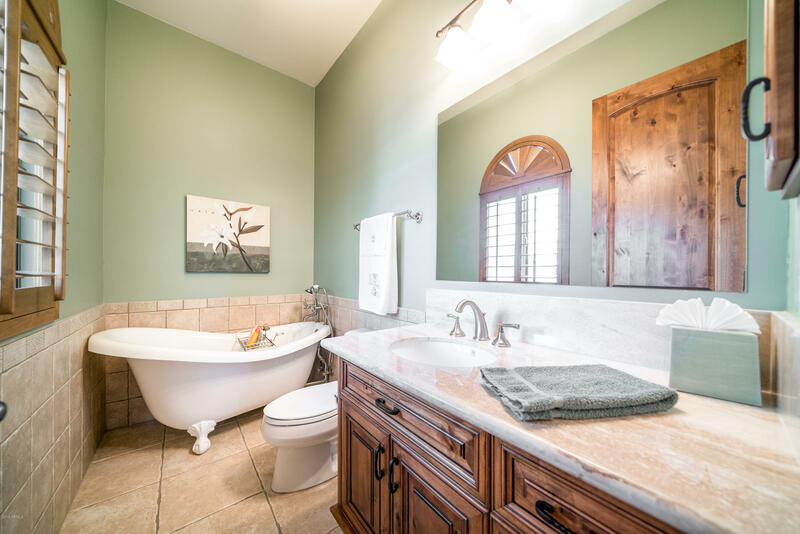 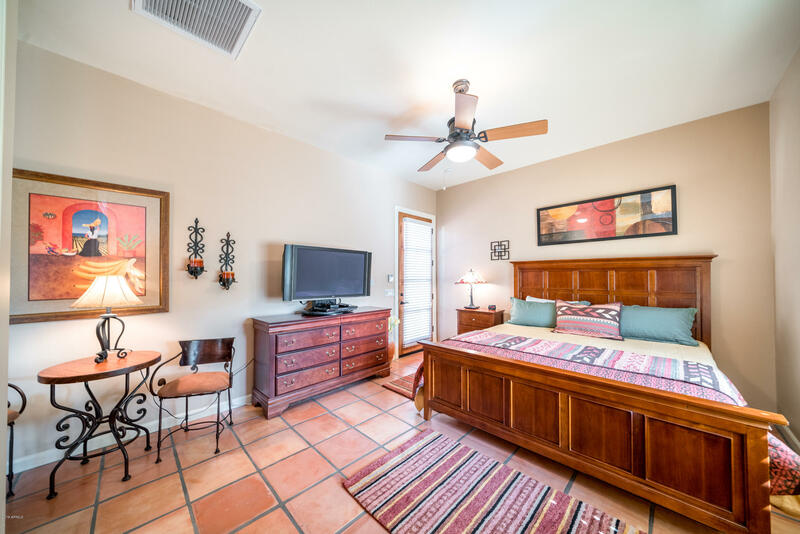 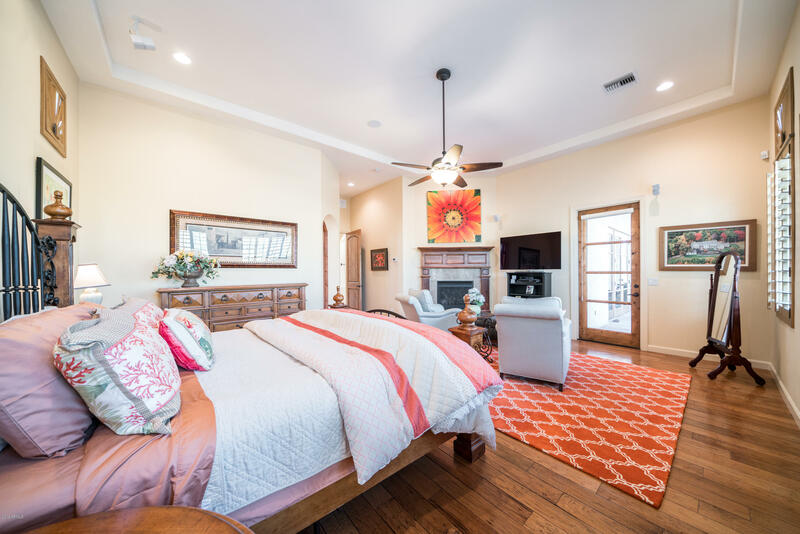 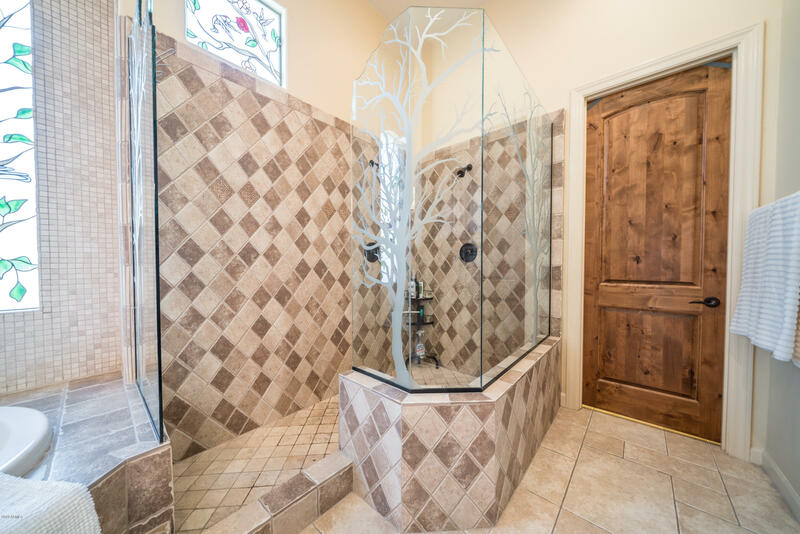 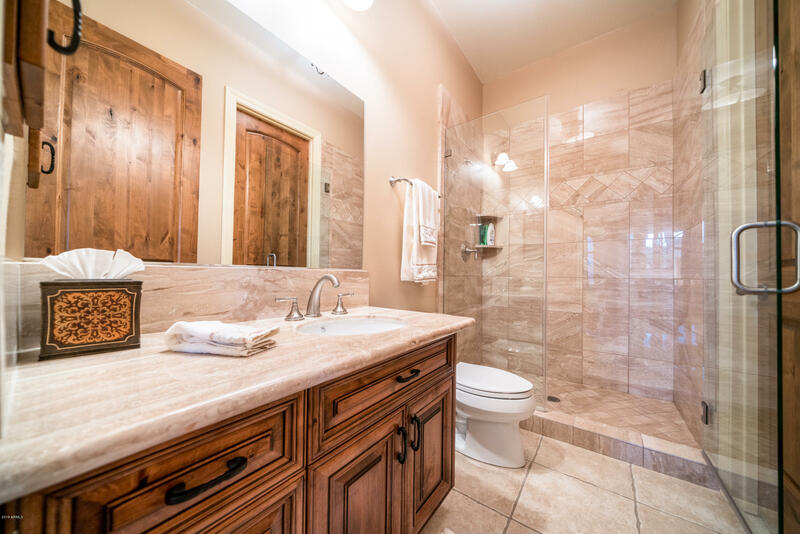 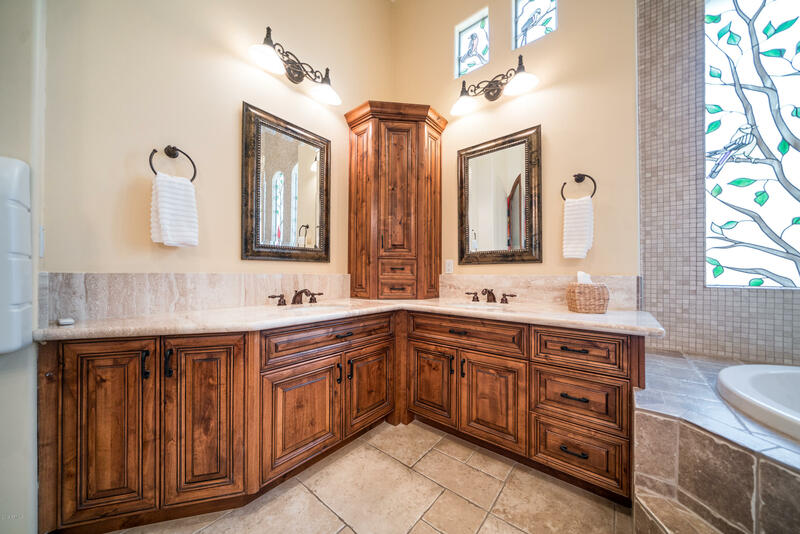 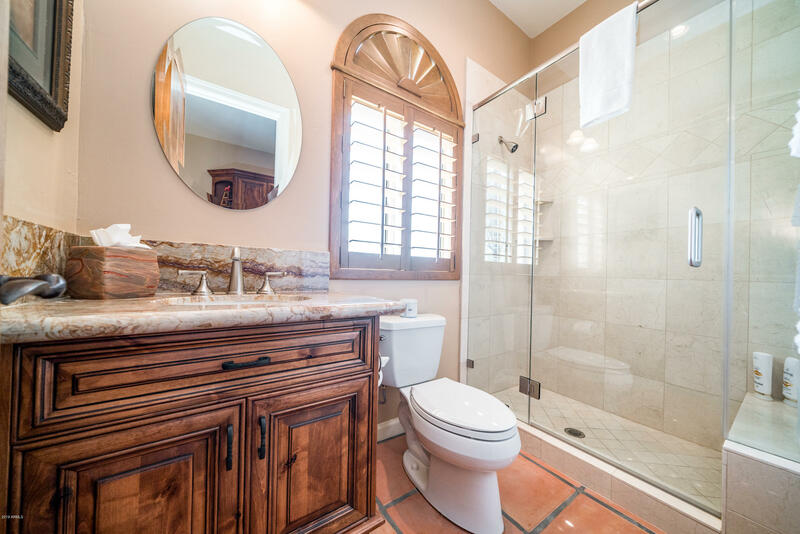 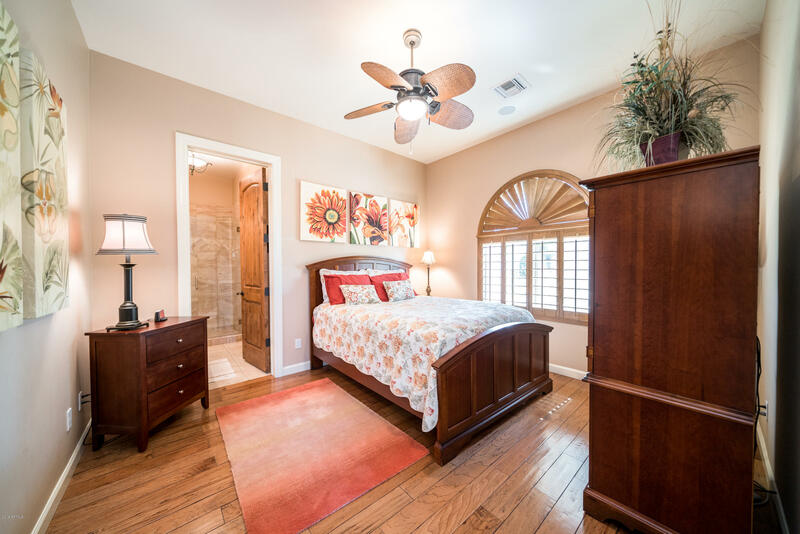 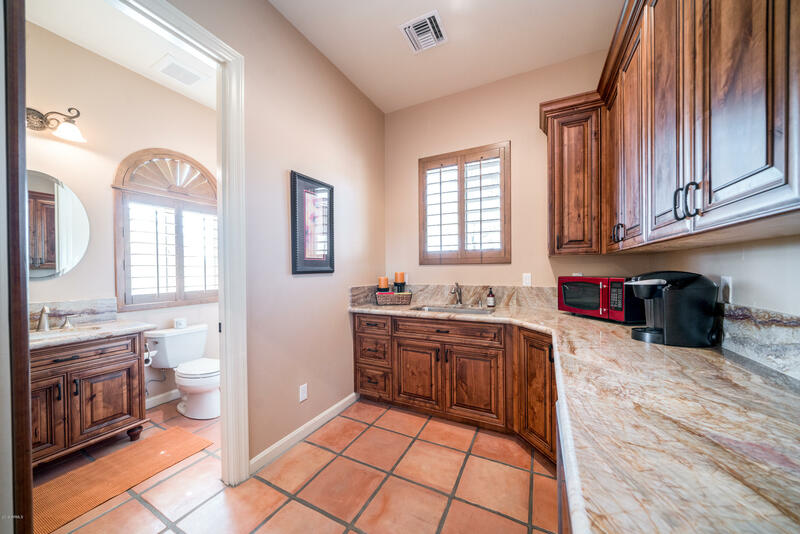 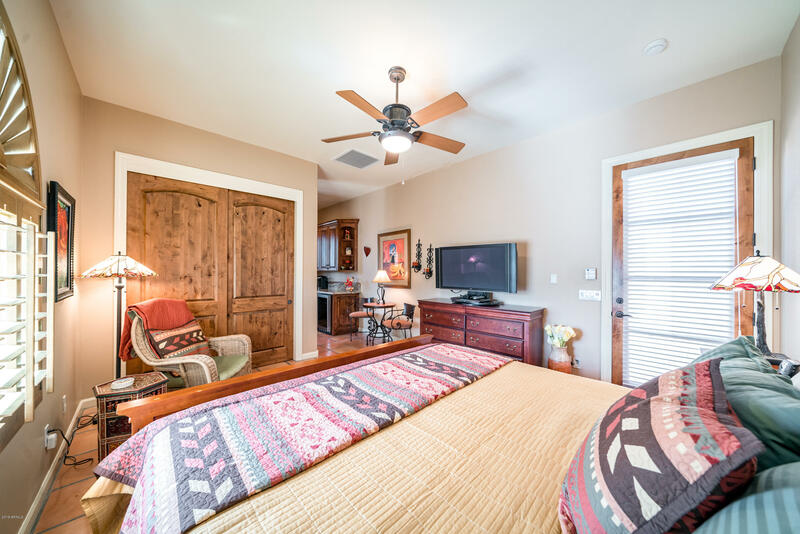 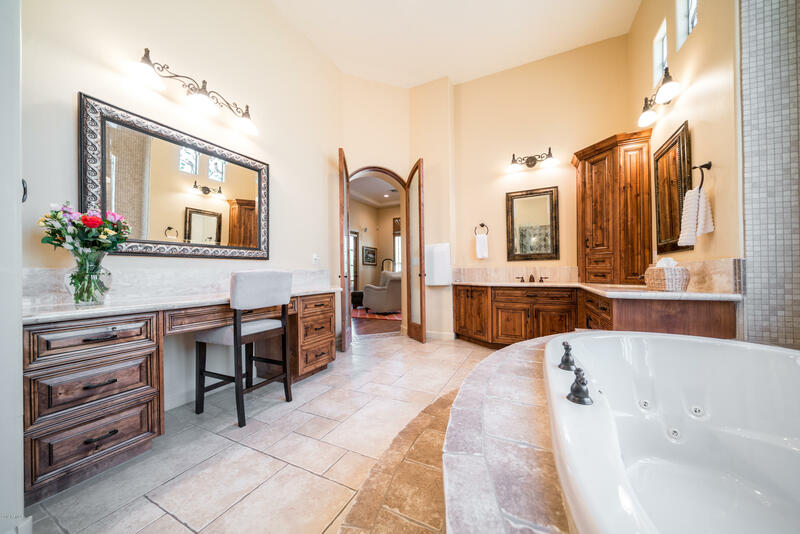 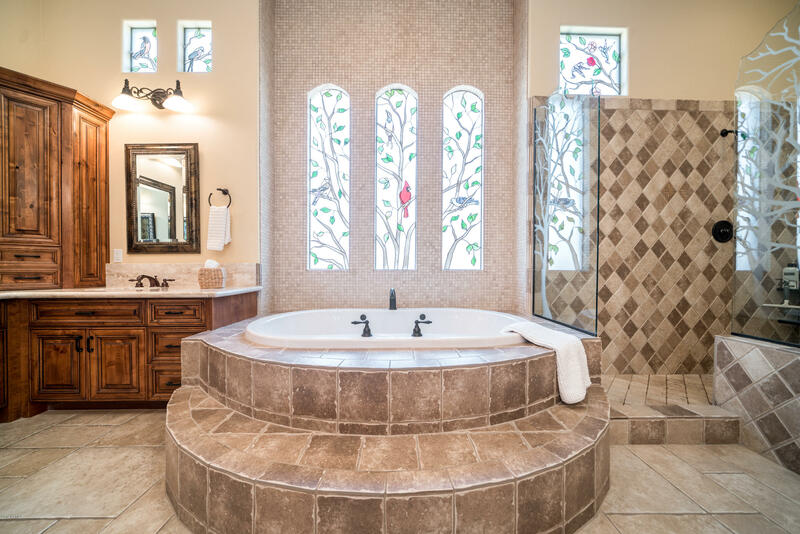 Recently remodeled bathrooms located in each of the bedrooms and casita add charm and warmth. 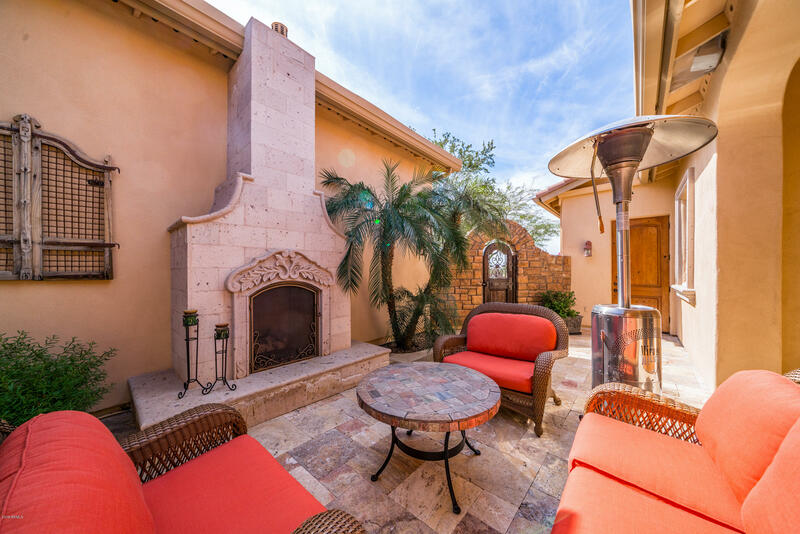 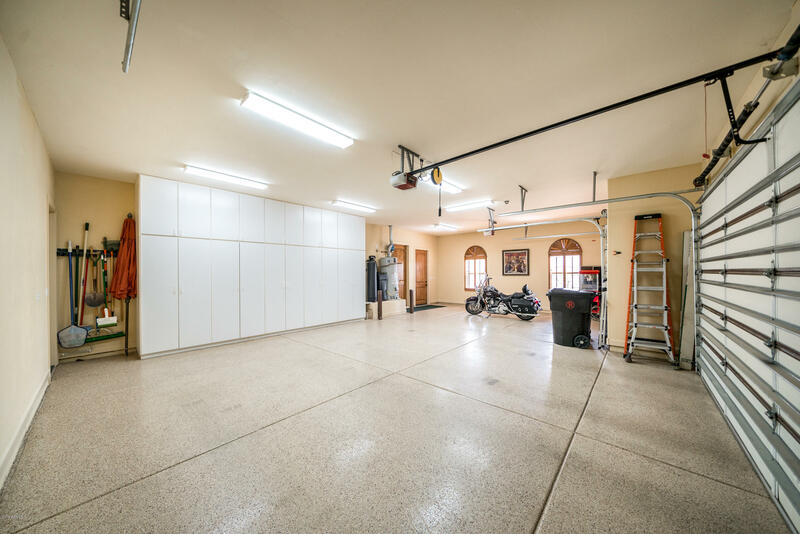 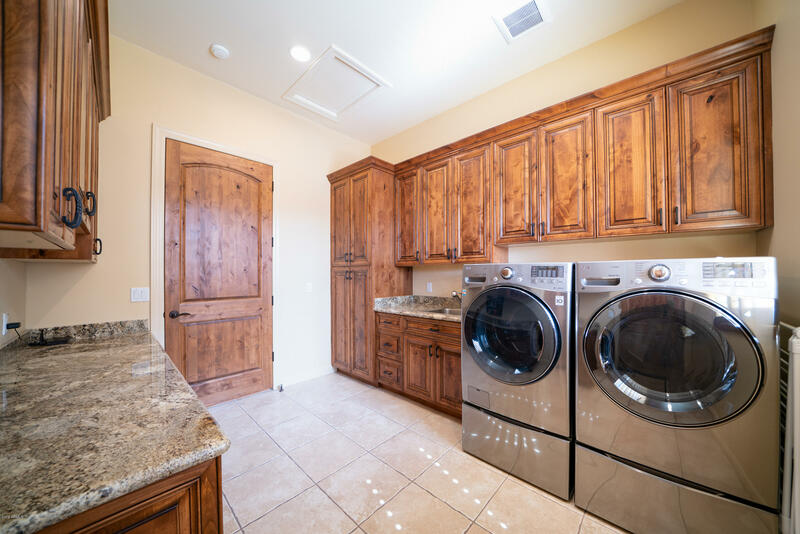 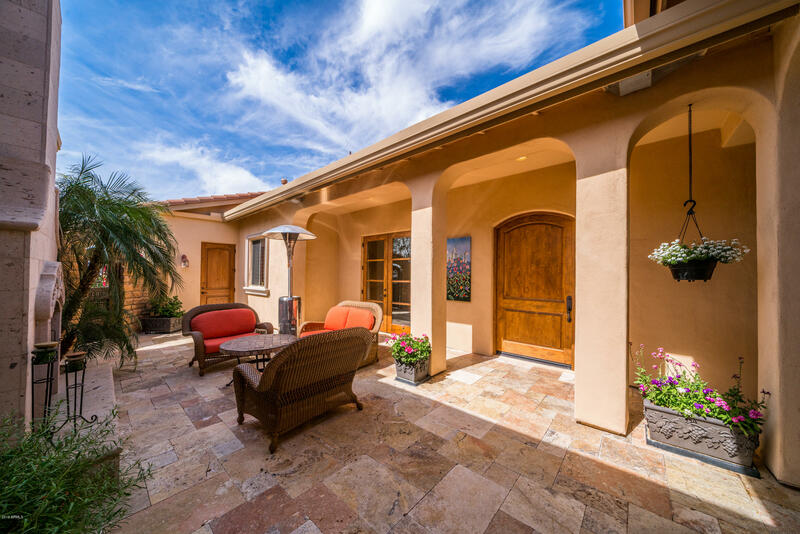 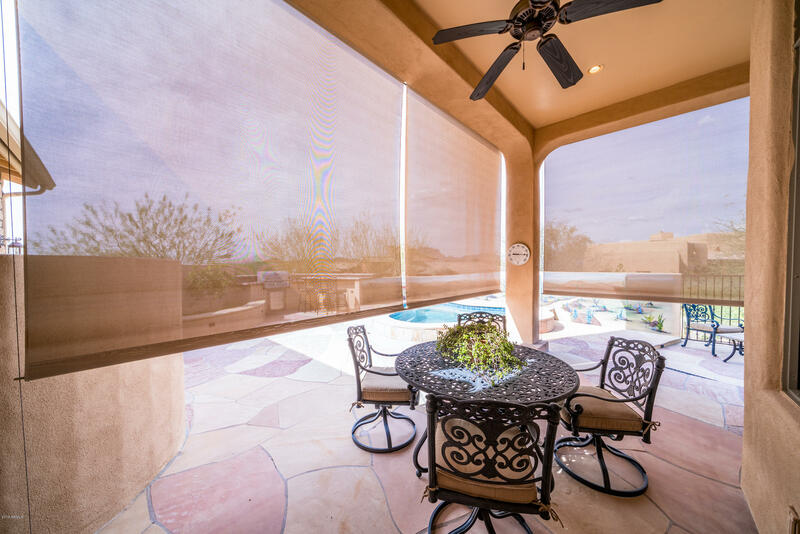 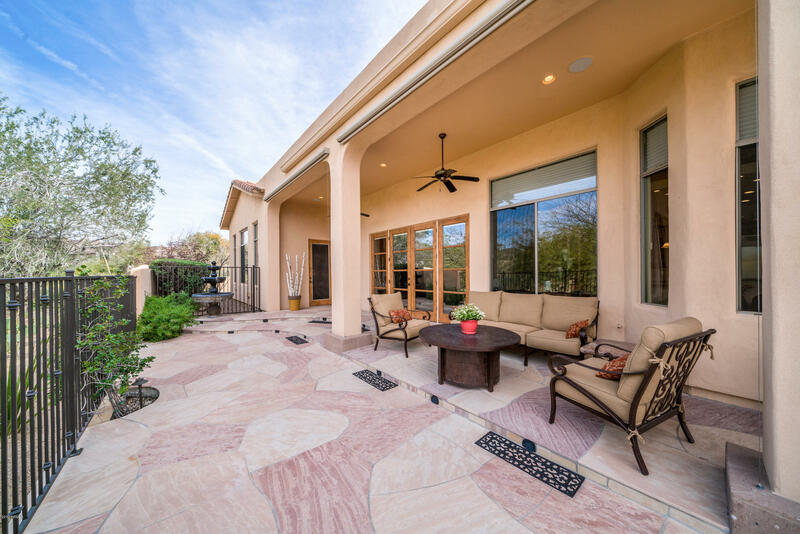 Separate sunset and rear deck patios with an 800 gallon Spool completes this exquisite home.